This system is very basic. I will harvest water off a +150sqm roof and will be exclusively used for watering the garden and filling your pool. It does not contain any pressurized pump. 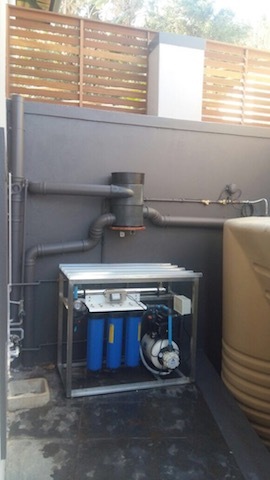 One round 5000l rainwater tanks situated near or at the gutter down-pipes. 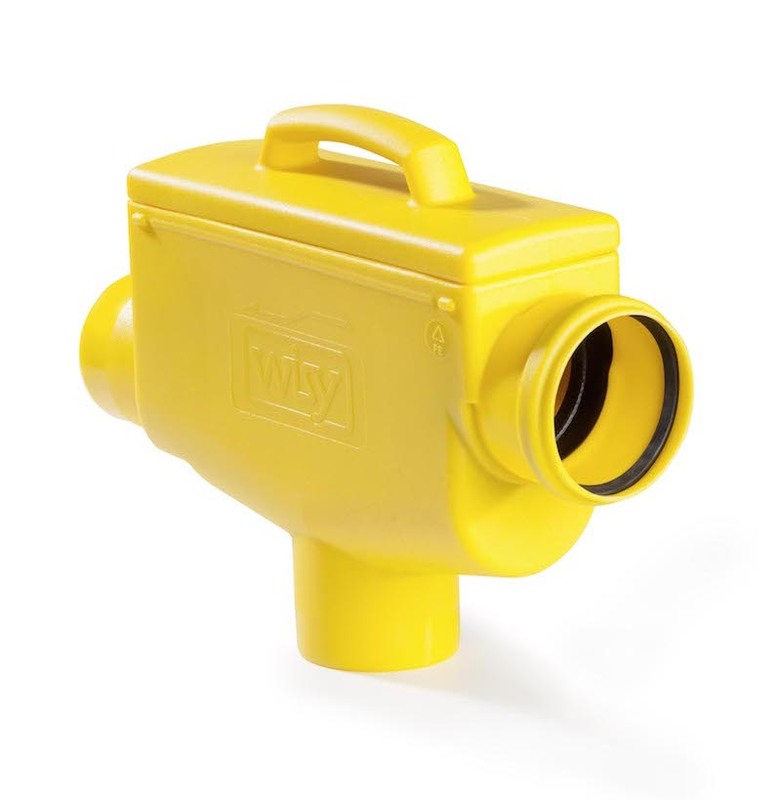 One inline primary WISY RS110 rainwater filter. The filter will be mounted in the down-pipe from the gutter. 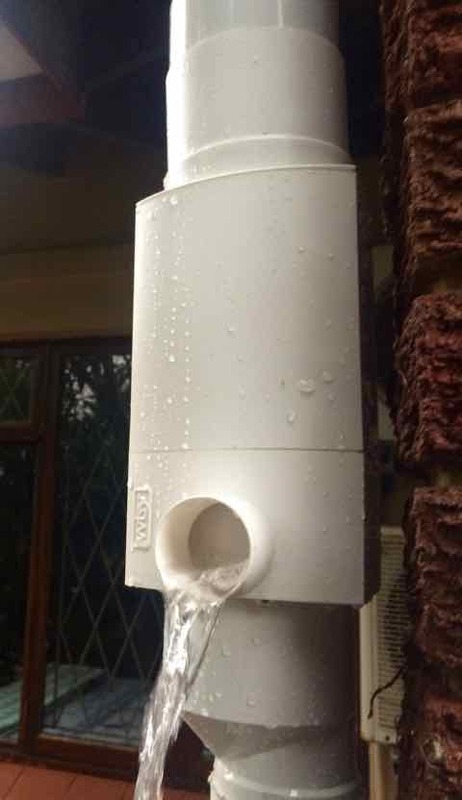 The inline filter fits onto the 110mm down-pipe and effectively screen and harvest the rainwater. These inline primary rainwater filters screen out any organic material greater than 280 microns. It ensures that the rainwater tank is kept clean with minimal sludge buildup in the tank, thus improving the water quality and reducing the cleaning frequency of the tank (you would only have to clean the tank once every 5 years). The correct installation of the RS110 inline filter does not require the installation of an tank overflow. If the tank is full the water will simply bypass the filter and run in the down-pipe onto the ground. The building is harvesting rainwater. There is not pressurized pump system. Thus you need to connect a hose to the system and open the tap. As the water level in the tank drops so the flow-rate and pressure of the water pressure will drop. The maximum pressure you can get form a system like this is when the tank is full and that is about 0.2 Bar. The question is why would you want to water your garden when is raining. You need the water when it is dry - so the tank will fill up stay full in the raining season and only get used in the winter. 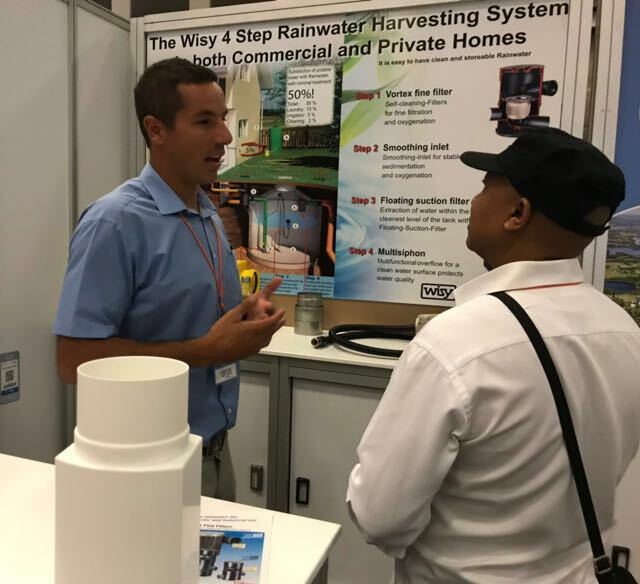 Once it is empty you have to revert to municipal water gain until the rain comes, thus your comparative saving on reduced water consumption is small and limited to the two tanks volumes in the system. Volume and value of water saving is limited to the amount of non pressurized water used. We estimated it in a basic household simulation to be about 40 000l per year.